If you're planning to buy visitors insurance for a trip abroad, you may have come across two similar travel medical insurance plans: Liaison Travel Choice and Atlas America. 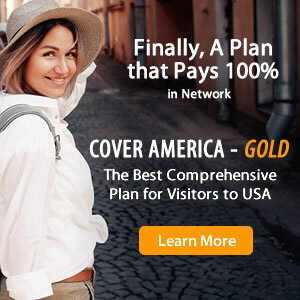 These travel insurance plans both provide travel medical coverage for the USA and other foreign countries, so anyone traveling abroad may be deciding between the two and want to know what the difference between Liaison Travel Choice and Atlas America is to choose the best travel insurance plan. Both travel insurance policies are comprehensive insurance plans which offer acute onset of pre-existing conditions coverage and terrorism coverage. To find out the differences between Liaison Travel Choice insurance and Atlas America insurance, refer to the comparison chart below.